I didn't like it. First five minutes, my mind already wanted to do something else. 20 minutes in, I was still lost with what's happening. I felt like there's an interesting protagonist but he was presented in very monotonous, plain manner. Johnny Depp hasn't made a film this good in years. But, it's still not great. I wish that it would have gone further into his exploits after he heads west, Then again, maybe we don't know what he did, I sure don't. Not a bad movie. Johnny Depp has had his issues lately, but Black Mass is one of the high points in his career. That being said, even though Depp is amazing, the film itself feels like a pale imitation of better films that have come before it. It has the elements to be a classic but just can't reach the top. Worth it for the performances but I can't shake the feeling it could have been much better. The film follows the notorious Whitey Bulger from a few years after his release from Alcatraz up until his disappearance in 1994 and eventual capture in 2011, and the brutality and fear he used to run South Boston. The interesting about Bulger is the partnership he had with the FBI. The FBI wanted to take down the Italian mob in Boston and Bulger wanted them out to take over the various rackets. This resulting in Bulger and the FBI working together with Bulger becoming a protected informant while providing the FBI with information on the mob only he could know. This protection enabled Whitey to carry out his everyday illegal activities and violence without any threat of arrest. Those eyes what's with the eyes? Johnny Depp is back ladies and gentlemen! 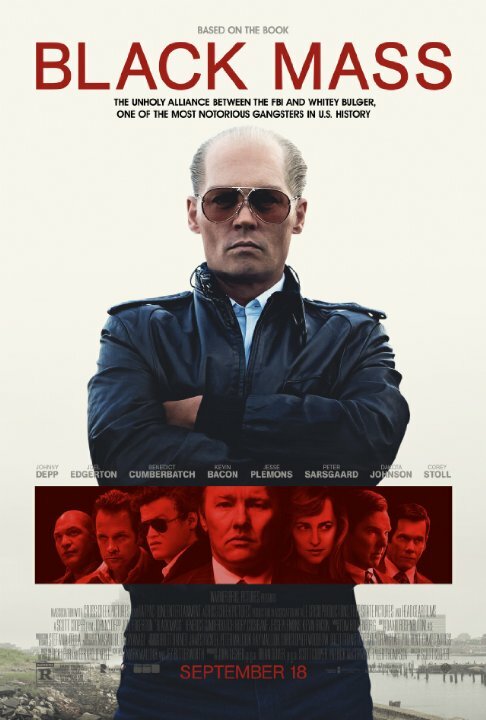 Black Mass is a solid crime drama but let's be frank, it is all the more watchable and unnervingly entertaining thanks to Johnny Depp's performance as James "Whitey" Bulger a smalltime gangster who became one of the most notorious crime bosses in American history. How did he get there? No posts have been made on this movie yet. Be the first to start talking about Black Mass!